Mayans M.C. is an American 60 minute scripted thriller television series, which kicked off on September 4, 2018, on FX and is broadcast every Tuesday at 22:00. The show is currently in its 1st season. 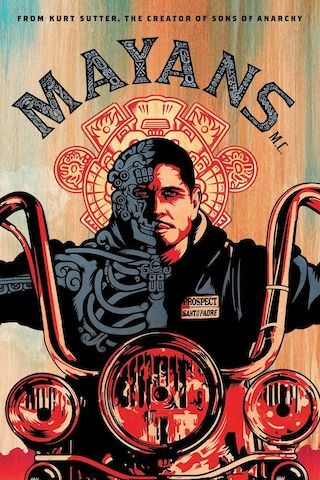 FX has officially confirmed the renewal of Mayans M.C. for Season 2. The exact release date is yet to be announced so far. Sign up to track it down. October 1, 2018 - Mayans M.C., the hit biker drama created by Kurt Sutter and Elgin James, has been renewed for a second season on FX, it was announced today by Nick Grad and Eric Schrier, Presidents of Original Programming for FX Networks and FX Productions. The second season will premiere on FX in 2019. "Mayans M.C. is performing fantastically, proving to be a breakout first season," said Grad. "The series premiered as the highest rated cable series this year and continues to sustain a committed fan base, reflecting the talent and drive of creators Kurt Sutter and Elgin James. We couldn't be more excited to take this ride to a second season."